Today only, while supplies last, get this Emerald 3.2L Digital Air Fryer for ONLY $49.99 (Retail $99.99)! Make your favorite food a healthy indulgence with this Emerald air fryer. It lets you fry, roast, bake or grill without the use of oils or fat, and the digital touch display with built-in timer makes programming effortless. 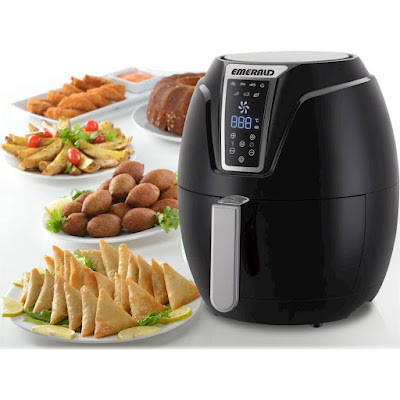 This Emerald air fryer has a fully removable basket for hassle-free serving when food is done.